First created by New York lawyers Tim and Nina Zagat as a guide for their friends, Zagat cracked the restaurant review formula with its 30-point scale evaluating food, service, atmosphere, and price. 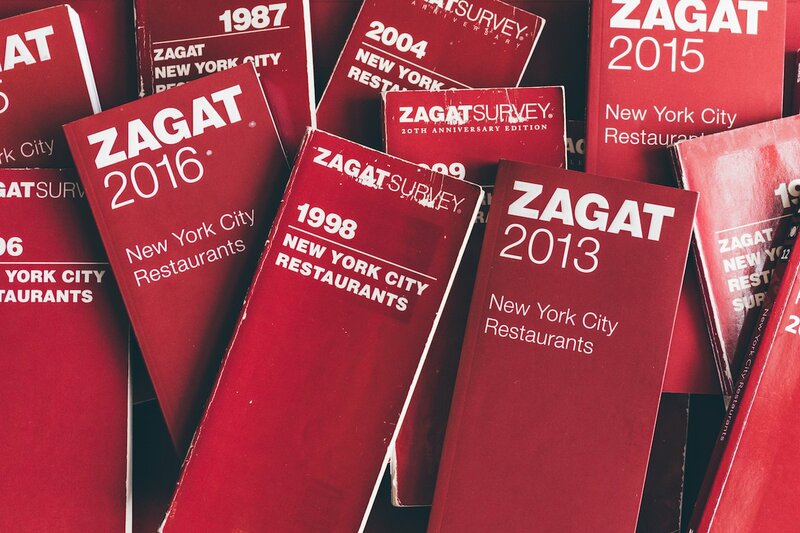 In contrast to the mixed bag of Yelp reviews, Zagat took a more deliberate, editorial approach. They first solicited reviews and ratings from volunteers, then tallied the numbers and had editors write summaries of the crowdsourced reviews. Released each year, the book became a household staple for foodies. In recent years the once ubiquitous food guide has struggled to retain its relevancy. Though Google successfully integrated Zagat’s content and data into its search programs and partnered with OpenTable to offer reservations, it also “failed to leverage the ubiquity of Google Maps to push Zagat ahead of the competition, letting the service languish on the sidelines while Yelp became a powerhouse,” as The Verge pointed out. Since the Infatuation acquired Zagat in March 2018, they’ve been focused on returning it to its user-generated roots, this time powered by a new tech platform that builds upon the 40-year reputation of Zagat. In addition to the user-informed restaurant reviews, the 2020 edition of the book will include a decade-by-decade retrospective of New York City dining over the past 40 years. As in past years, the Zagat survey will be based on votes from the public and you can have a say! Online voting for the new guide is open through May 5.